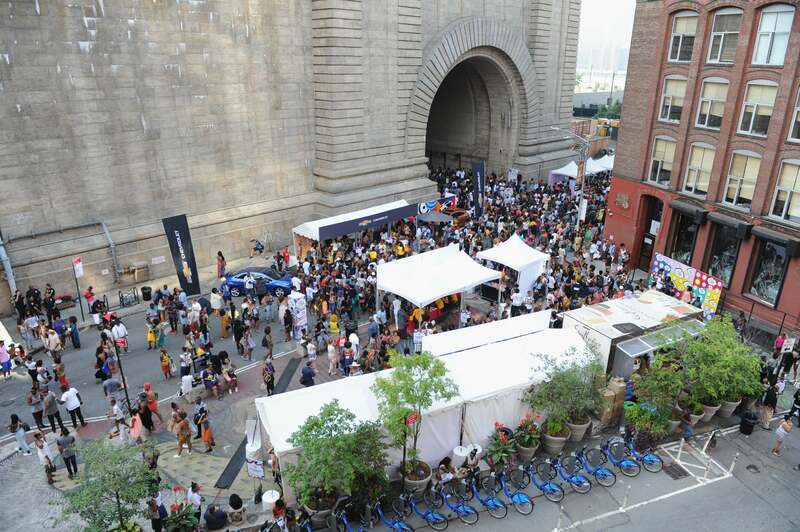 If you weren't able to make the Essence Street Style Block Party in Brooklyn, here's a quick recap of what went down during our third year of fierce style, dope vendors, and surprise celebrity appearances! 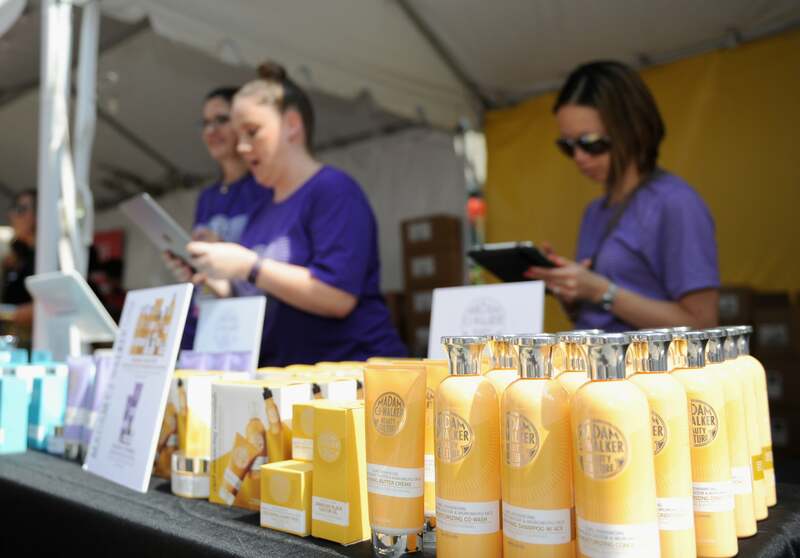 Guests attend the 2016 Essence Street Style Block Party. 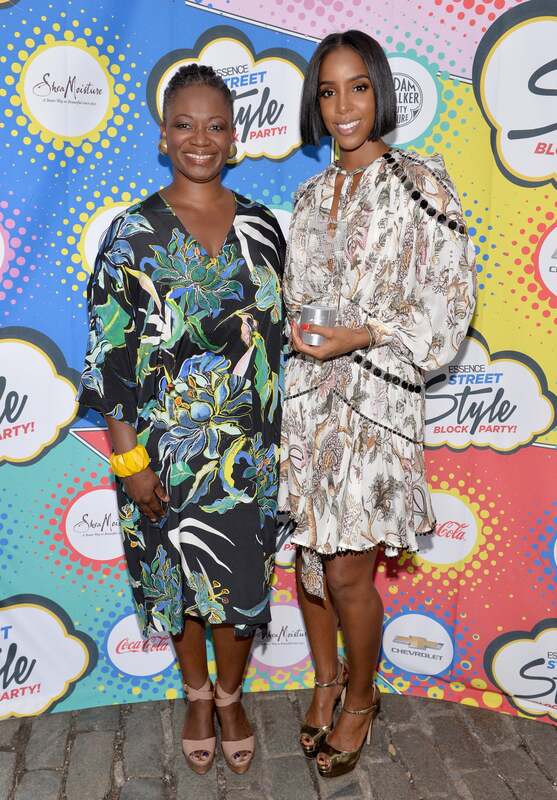 ESSENCE Editor-in-chief Vanessa K. De Luca and Kelly Rowland pose for a photo the 2016 Essence Street Style Block Party. 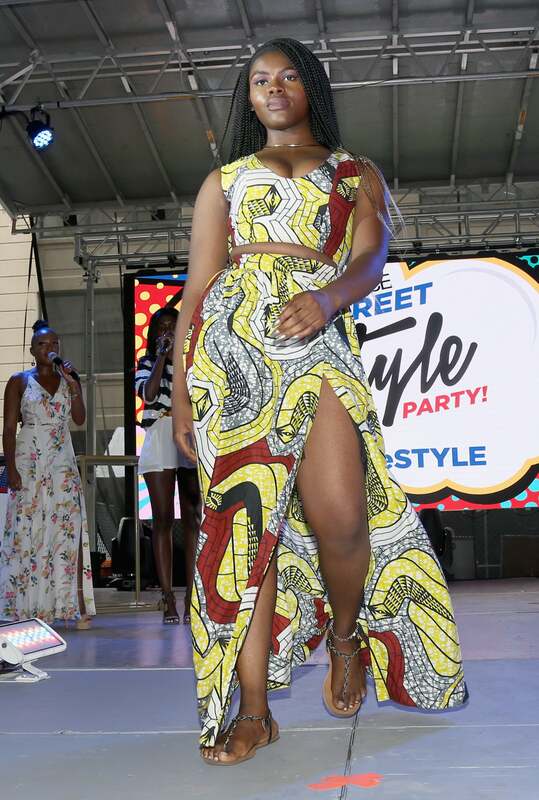 Khadija Shari strikes a pose in a bright yellow dress at the 2016 Essence Street Style Block Party. 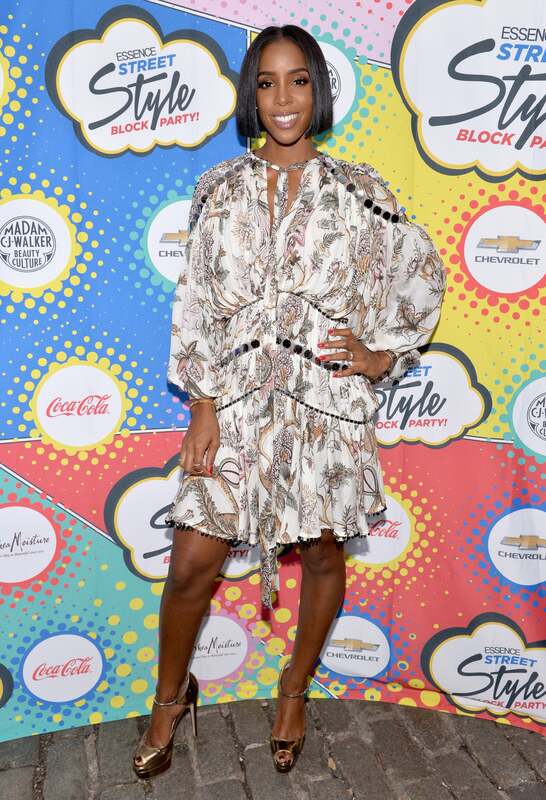 Kelly Rowland looks lovely as she strikes a pose at the 2016 Essence Street Style Block Party for receiving the Closet Crush Award. 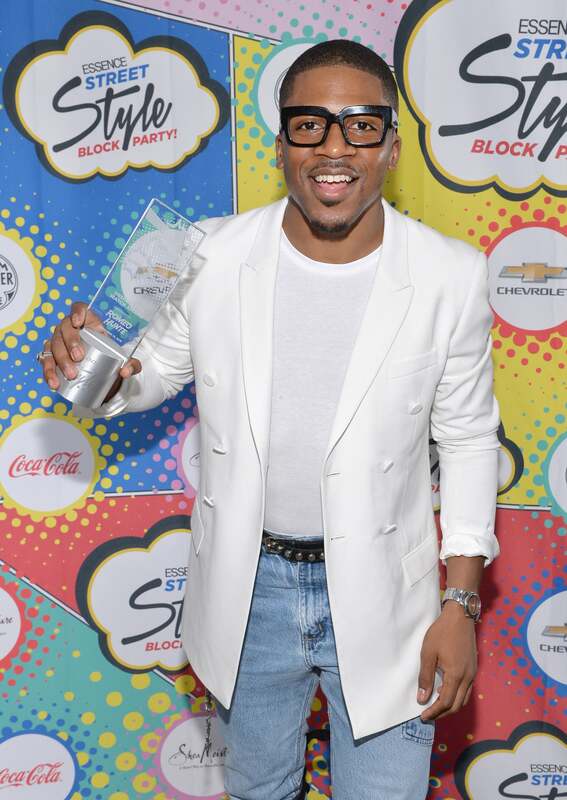 Romeo Hunte poses with his Designer to Watch award during the 2016 Essence Street Style Block Party. Zendaya looks lovely as she poses for a photo at the 2016 Essence Street Style Block Party. 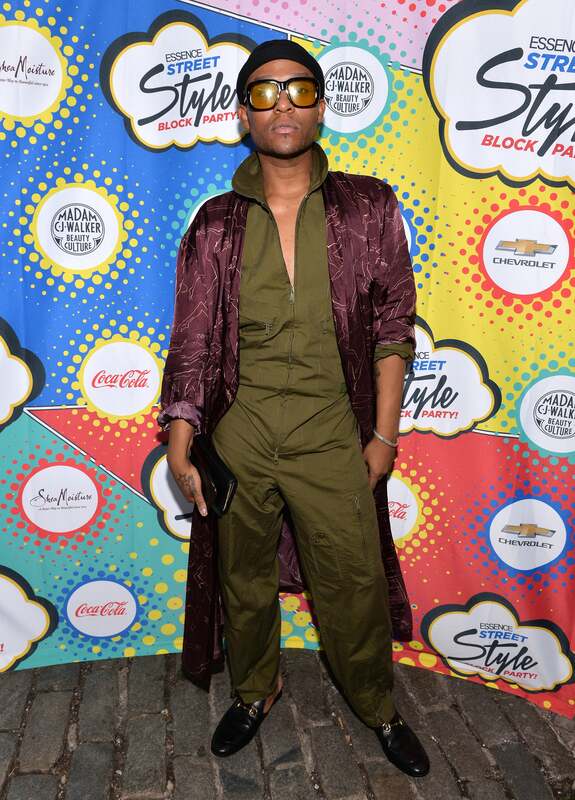 Aye Jay poses for a photo at the 2016 Essence Street Style Block Party. 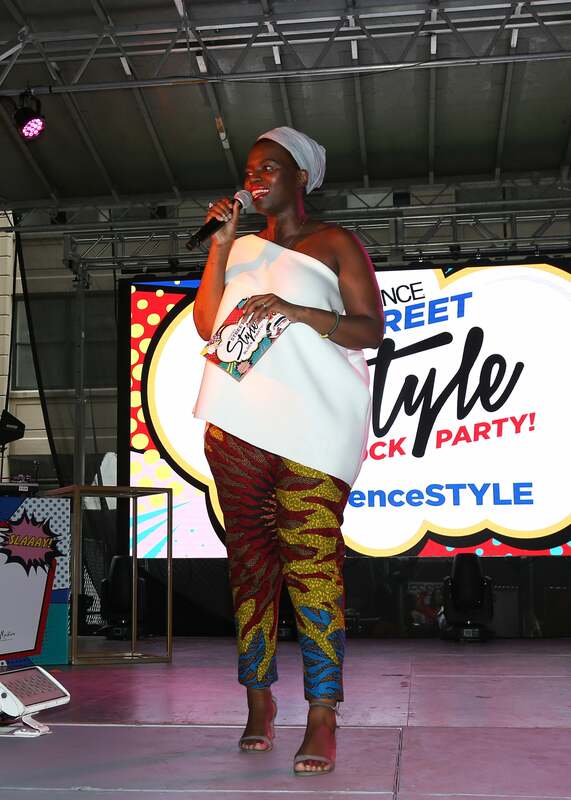 ESSENCE Fashion editor Joiee Thorpe poses for a photo at the 2016 Essence Street Style Block Party. 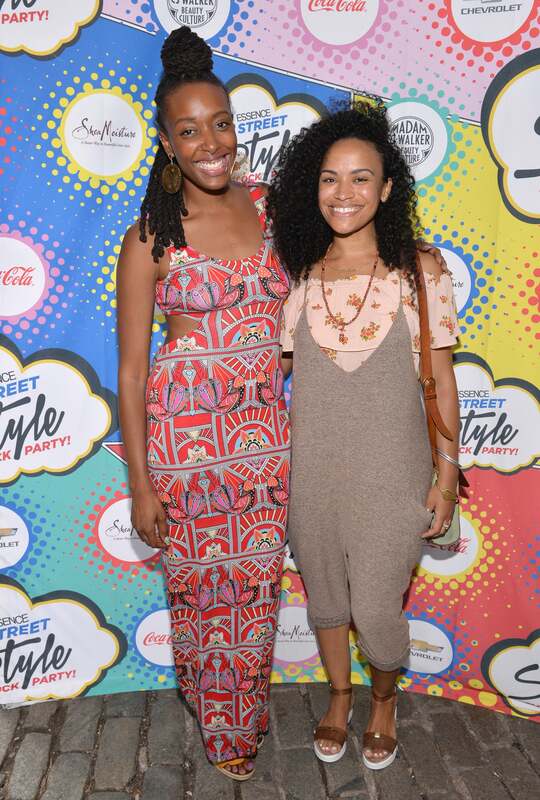 Guests pose and take cute pics at the 2016 Essence Street Style Block Party. 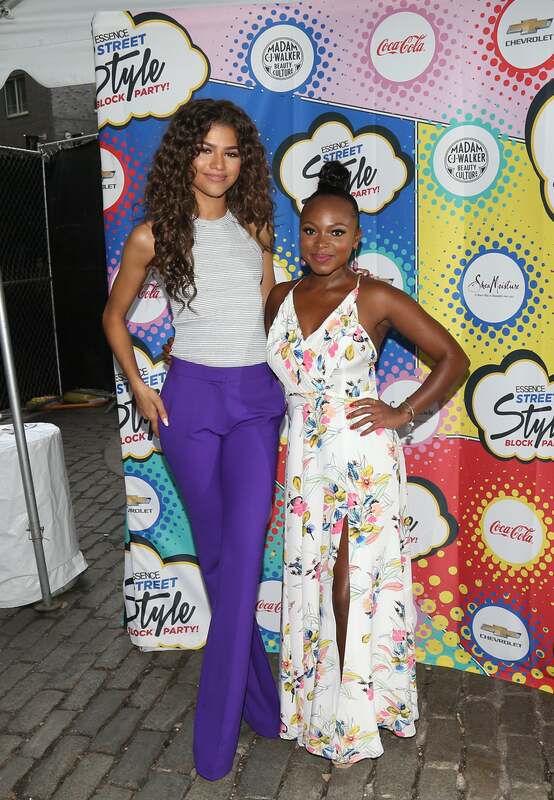 Zendaya and Naturi Naughton take a sweet photo at the 2016 Essence Street Style Block Party. 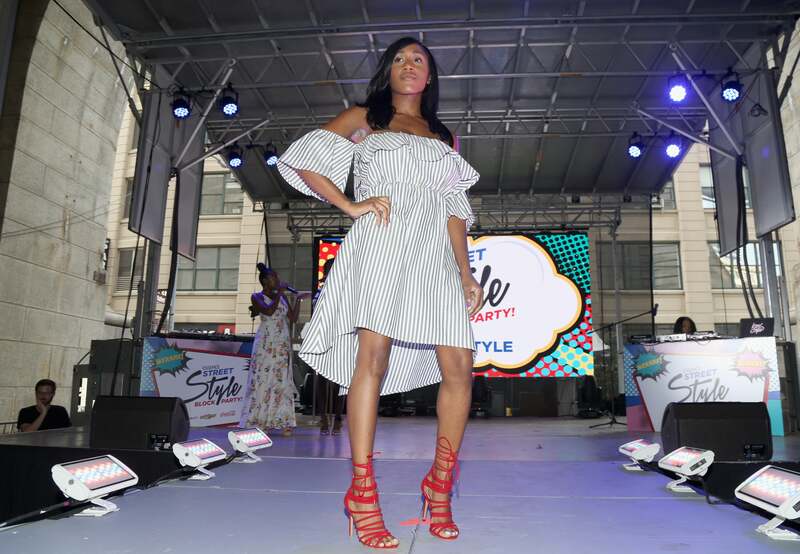 Dana Blair strikes a pose while on stage during the 2016 Essence Street Style Block Party. 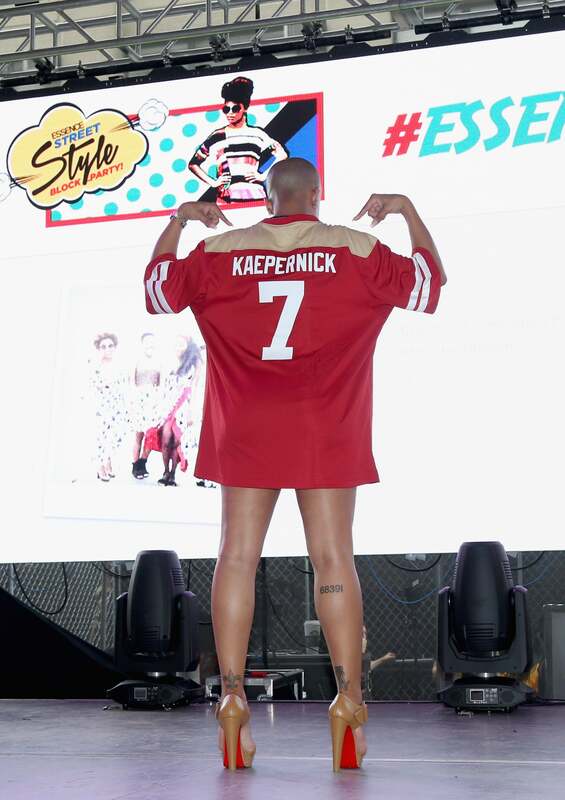 Dana Blair shows off her jersey while on stage during the 2016 Essence Street Style Block Party. 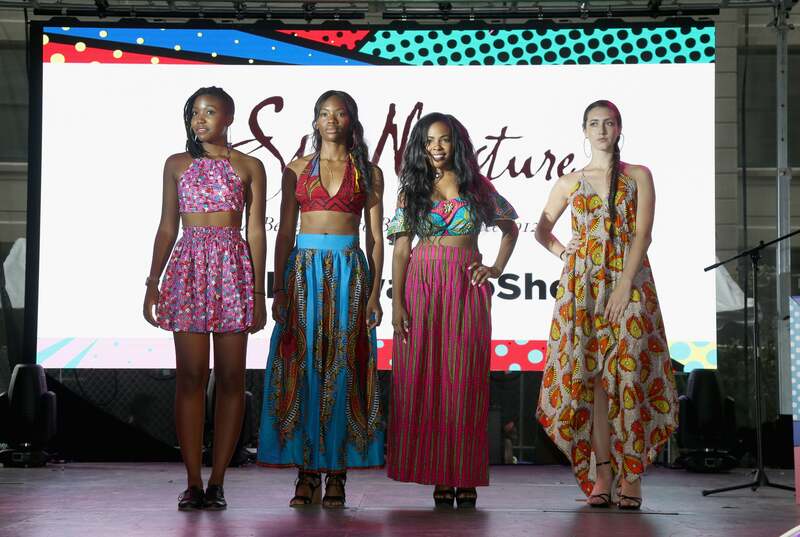 Naturi Naughton co-hosts the fashion show with ESSENCE Fashion Editor Joiee Thorpe. 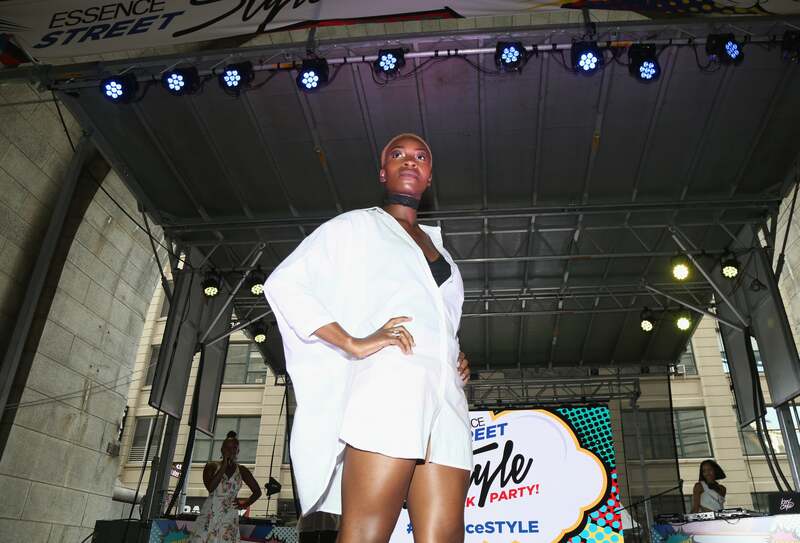 A model works the stage during the 2016 Essence Street Style Block Party. 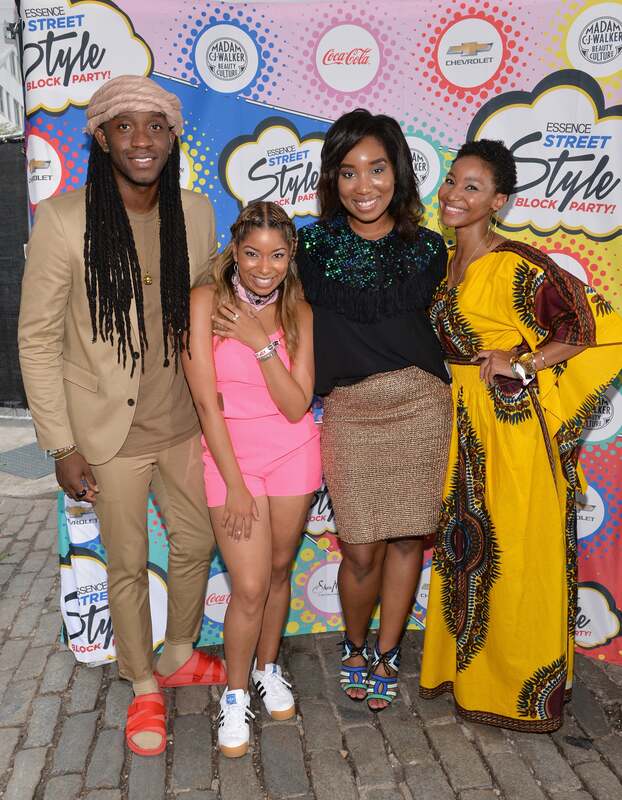 Ron Bass, DJ Fab Roc, Rachel Tomlinson, and Jade Meyer pose on stage in their lovely outfits at the 2016 Essence Street Style Block Party. 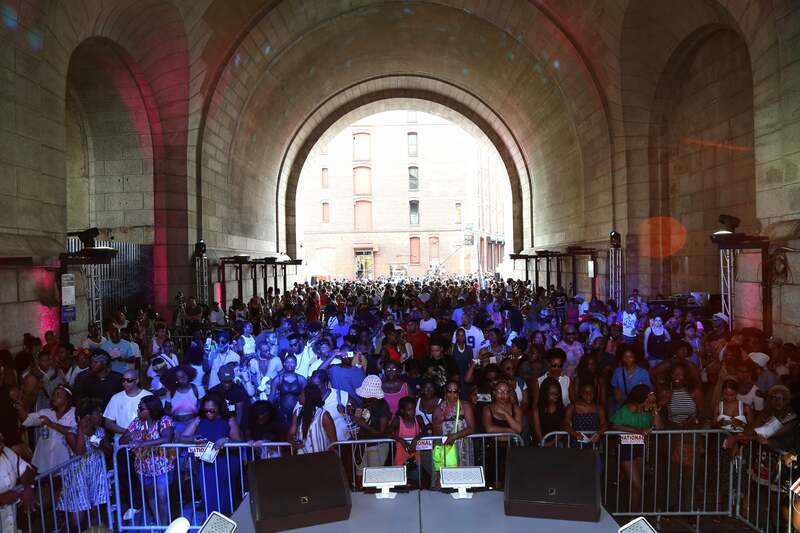 Guests speak on stage at the 2016 Essence Street Style Block Party at DUMBO. 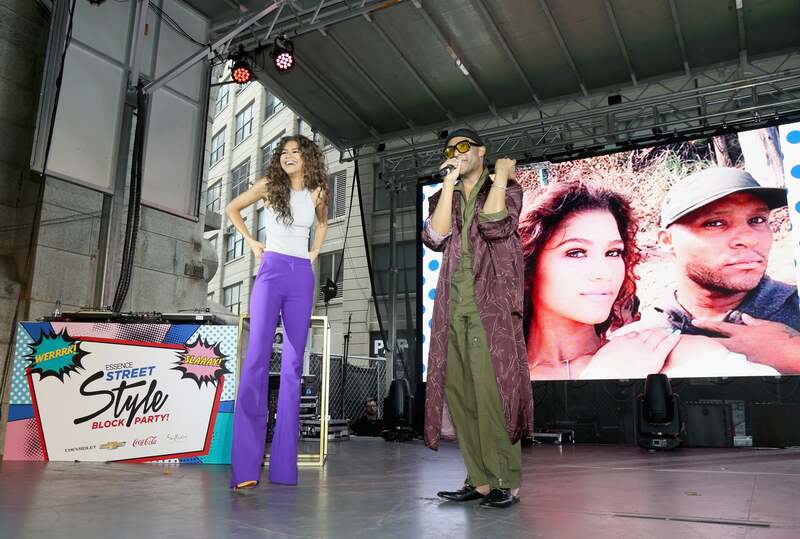 Zendaya poses on stage during the 2016 Essence Street Style Block Party. 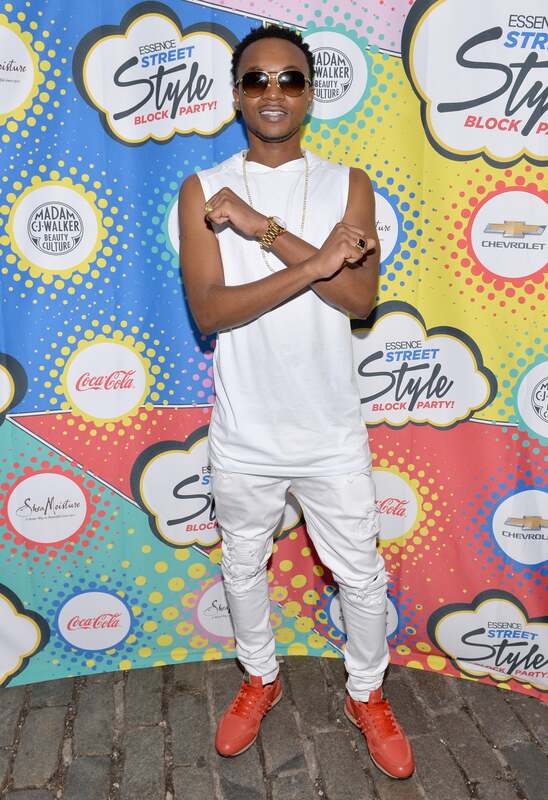 Ayo Jay performs on stage during the 2016 Essence Street Style Block Party. 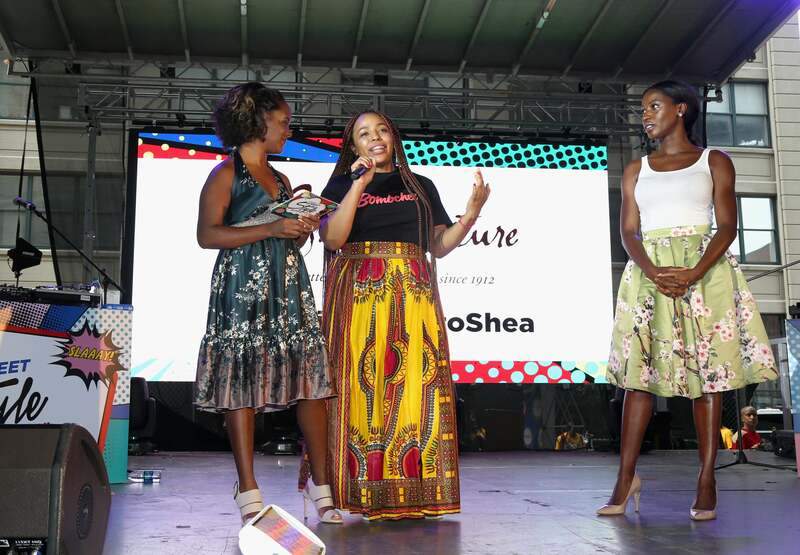 ESSENCE Digital Content Director Yolanda Sangweni speaks on stage during the 2016 Essence Street Style Block Party. 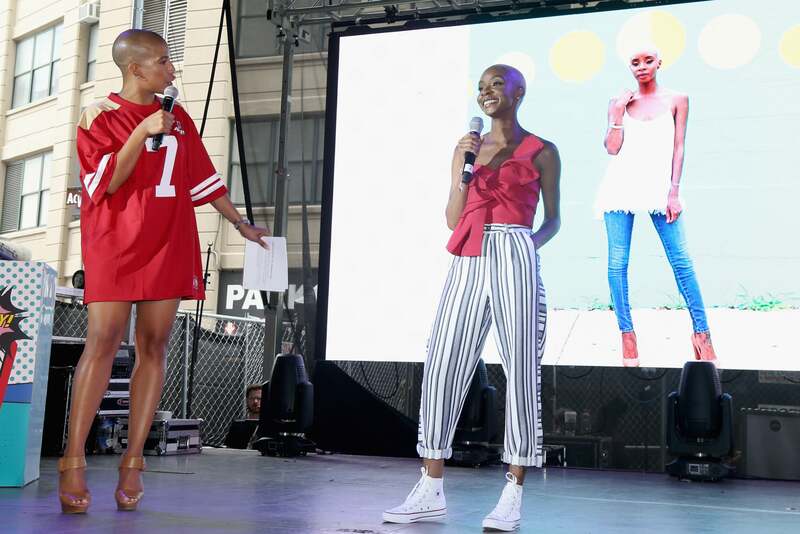 Zendaya and Law Roach speak on stage during the 2016 Essence Street Style Block Party. 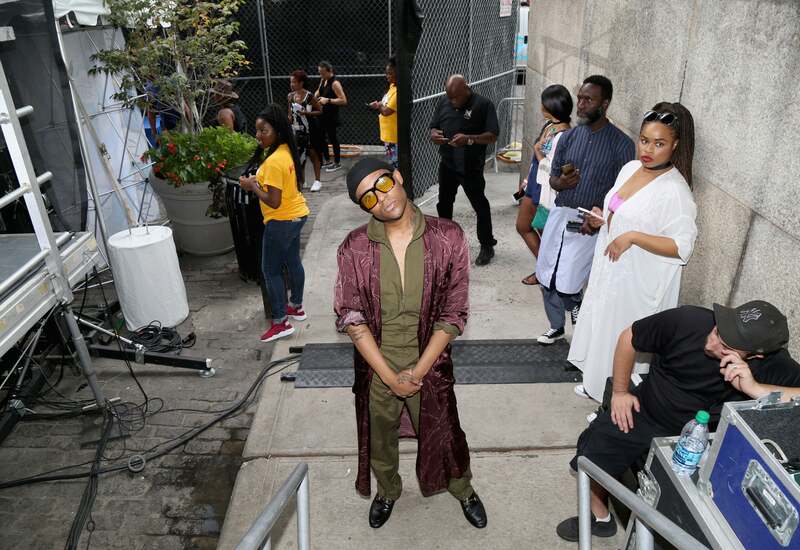 Law Roach strikes a pose backstage during the 2016 Essence Street Style Block Party. 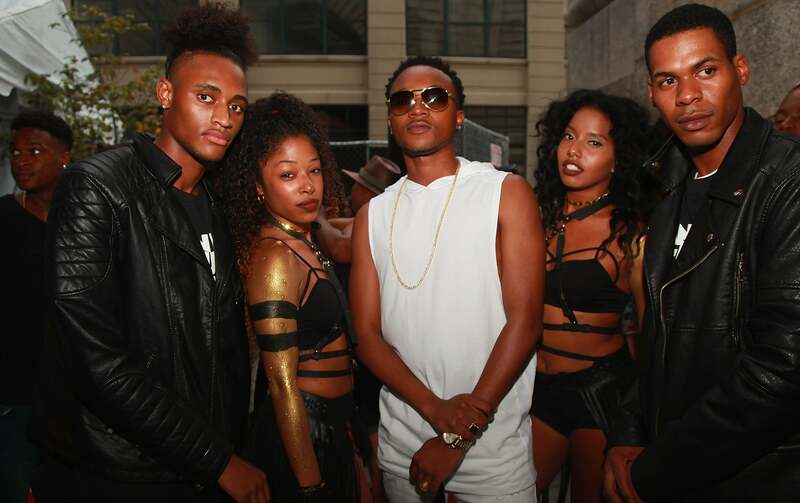 Ayo Jay and his crew pose for a photo at the 2016 Essence Street Style Block Party. 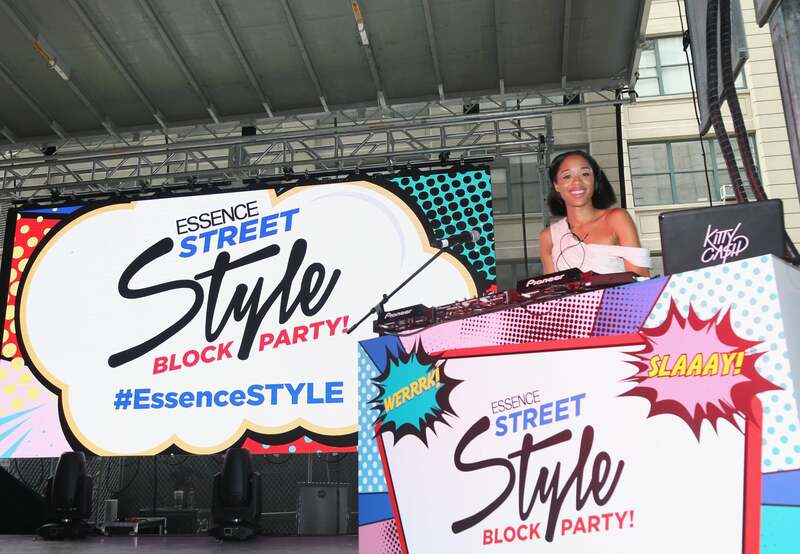 Erica Blunt spins on stage during the 2016 Essence Street Style Block Party. 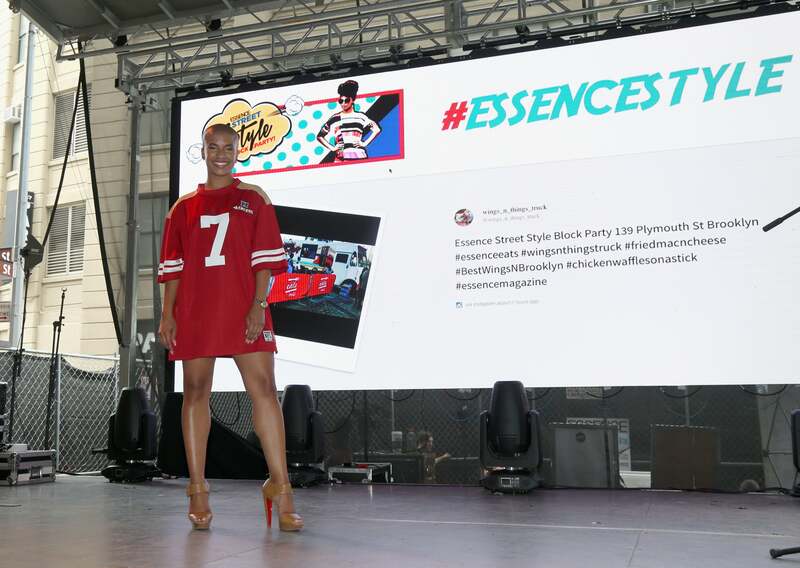 Guests pose for photos at the 2016 Essence Street Style Block Party. 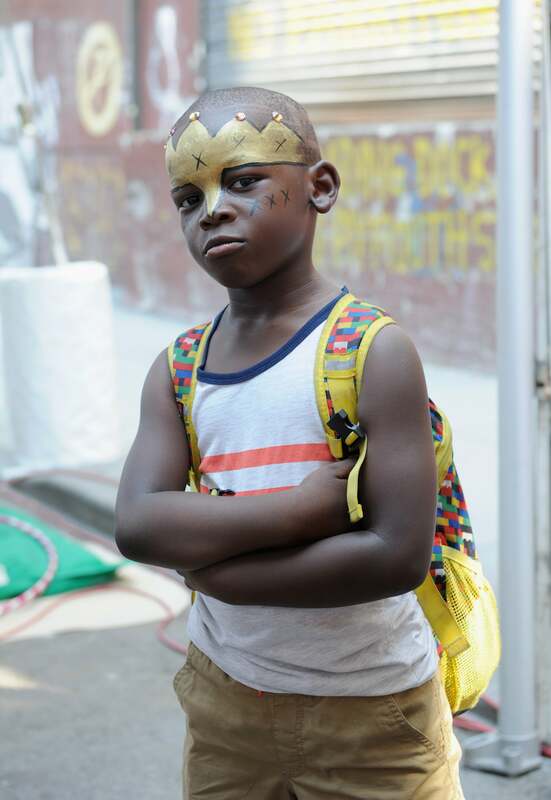 A little boy with his face painted poses at the 2016 Essence Street Style Block Party. 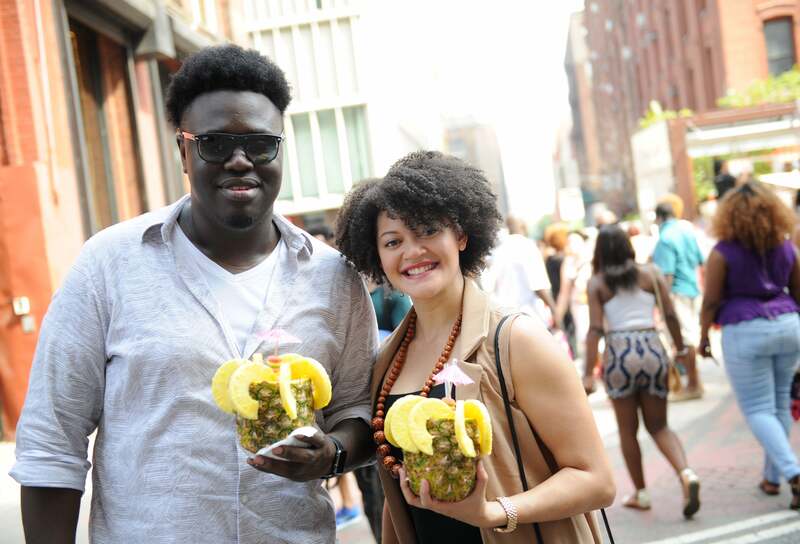 Guests are in the streets having a good time at the 2016 Essence Street Style Block Party. 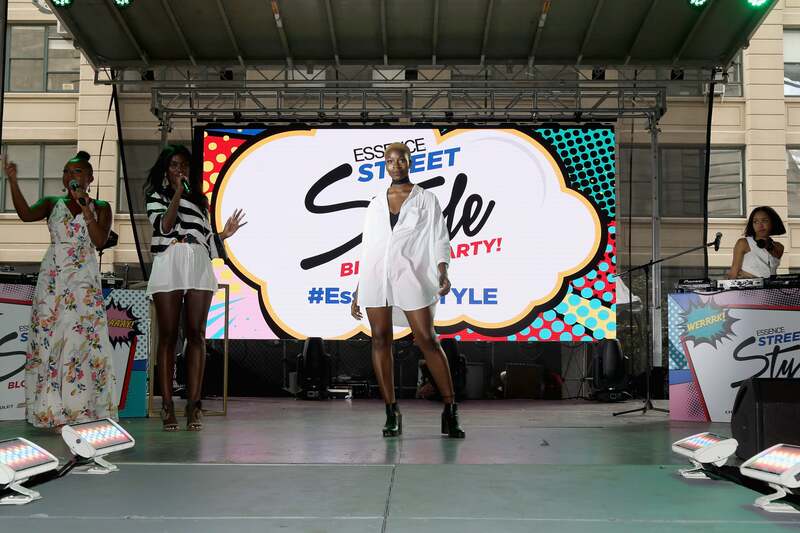 Dana Blair speaks on stage with Blake Von D during the 2016 Essence Street Style Block Party. 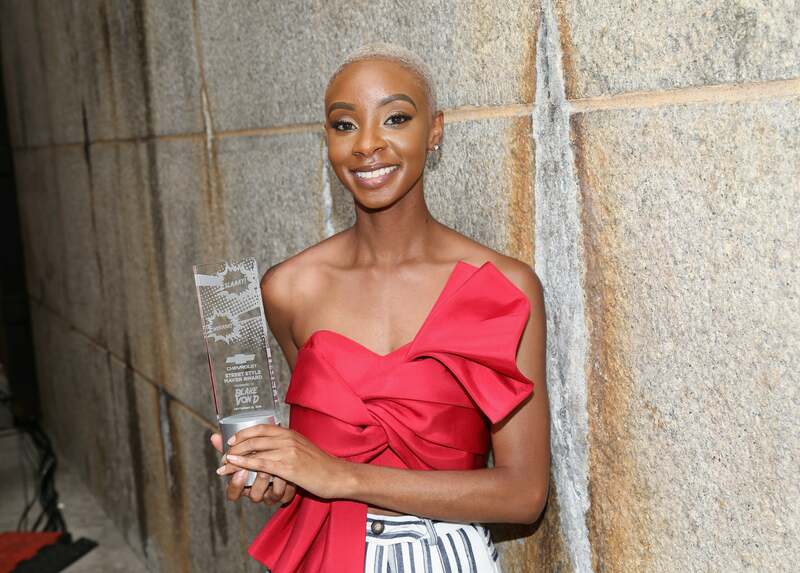 Blake Von D take a sweet photo and poses with her Chevy Street Style Maven award during the 2016 Essence Street Style Block Party. 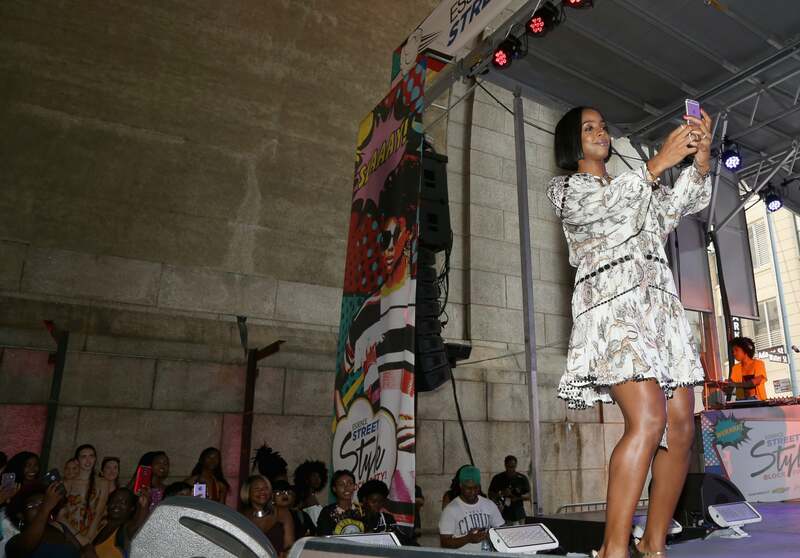 Kelly Rowland snaps a photo while on stage at the 2016 Essence Street Style Block Party. 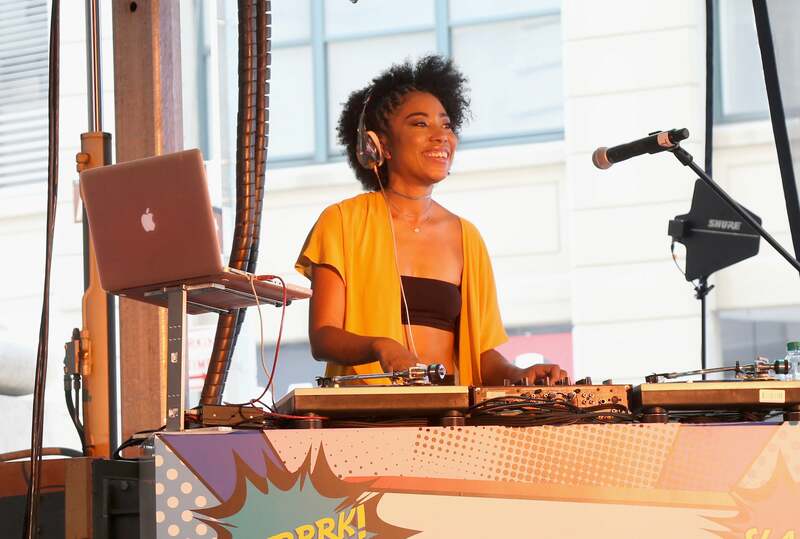 Kitty Cash is all smiles as she dj's on stage during the 2016 Essence Street Style Block Party. 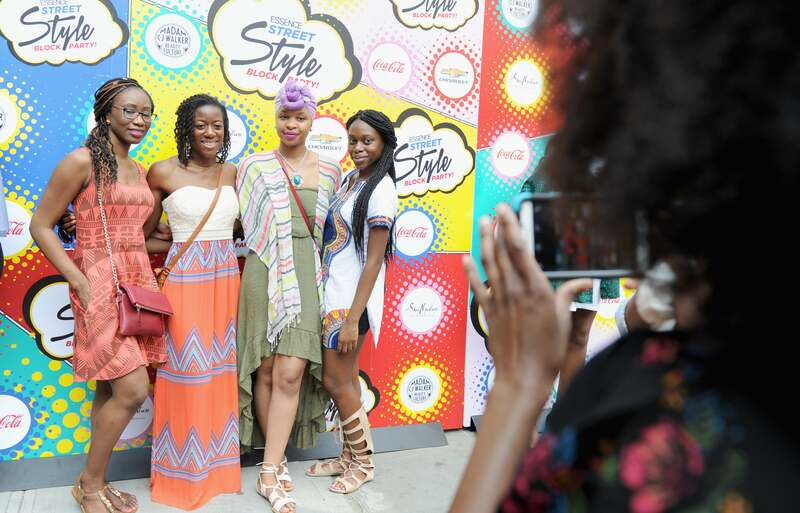 Guests pose for the cameras at the 2016 Essence Street Style Block Party. 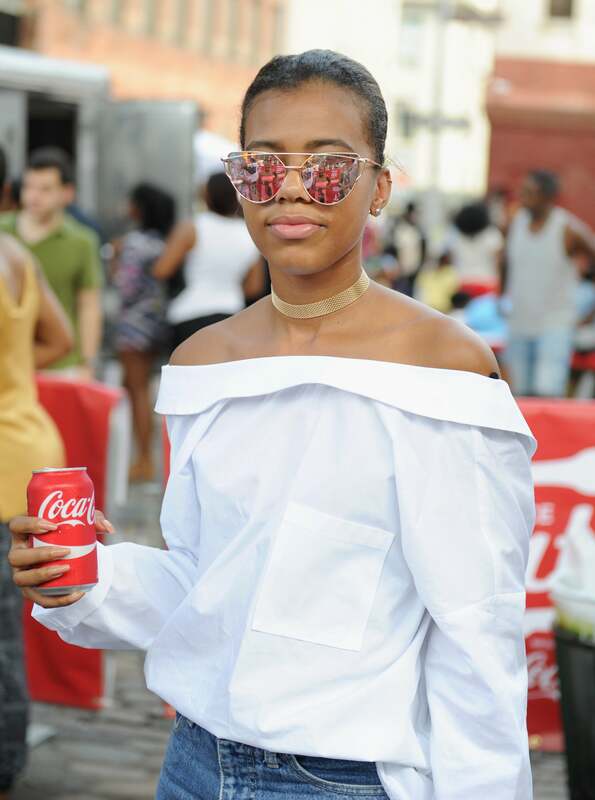 Guests enjoy some drinks and pose for the cameras at the 2016 Essence Street Style Block Party. 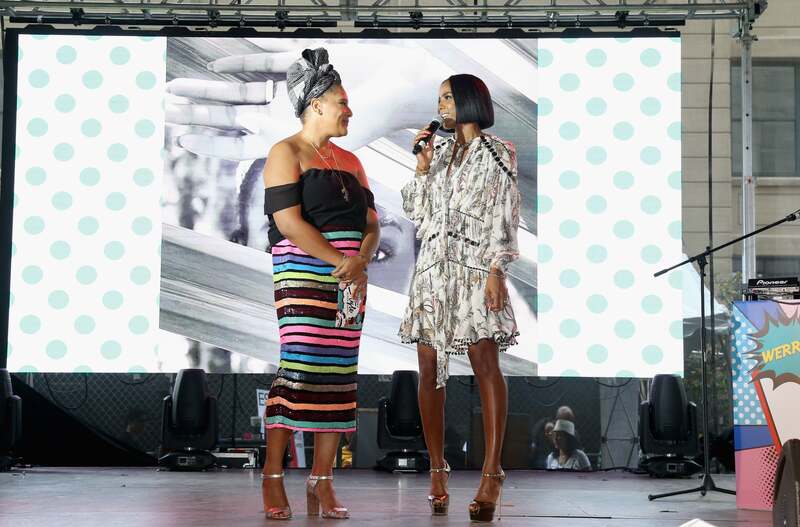 ESSENCE Fashion & Beauty Director Julee Wilson presents Kelly Rowland with the Close Crush award on stage during the 2016 Essence Street Style Block Party. 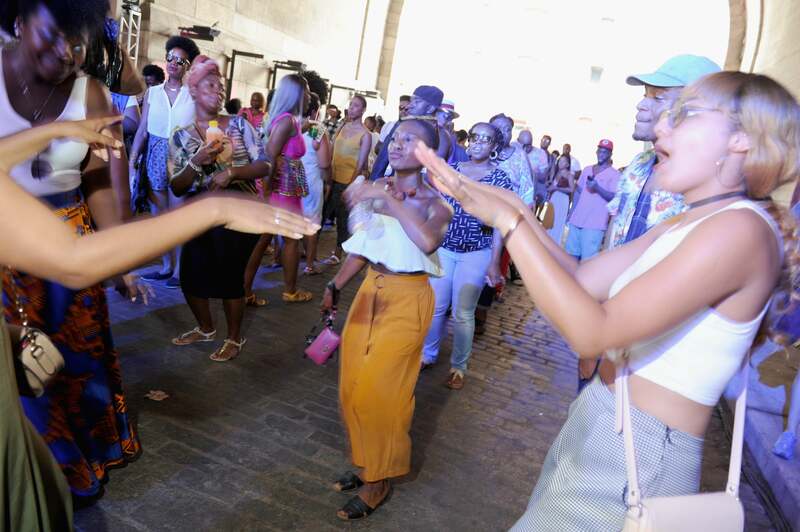 Guests attend the 2016 Essence Street Style Block Party at DUMBO in New York City. 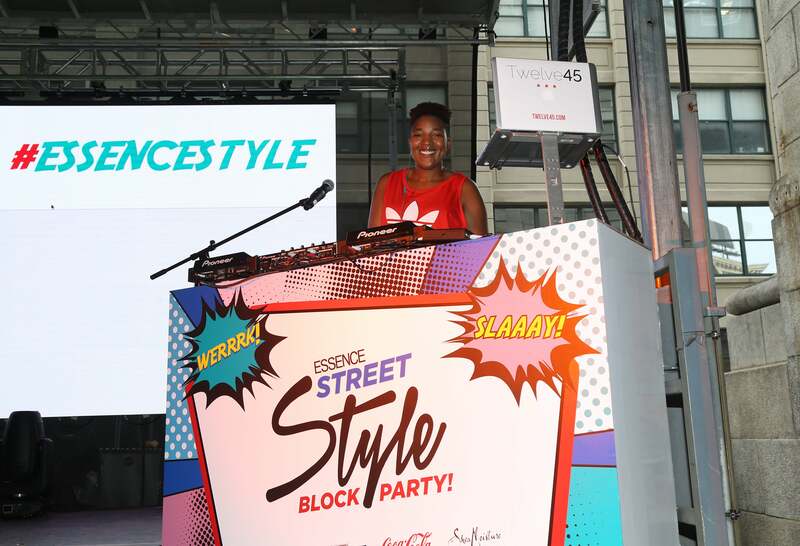 DJ Quiana performs on stage during the 2016 Essence Street Style Block Party. 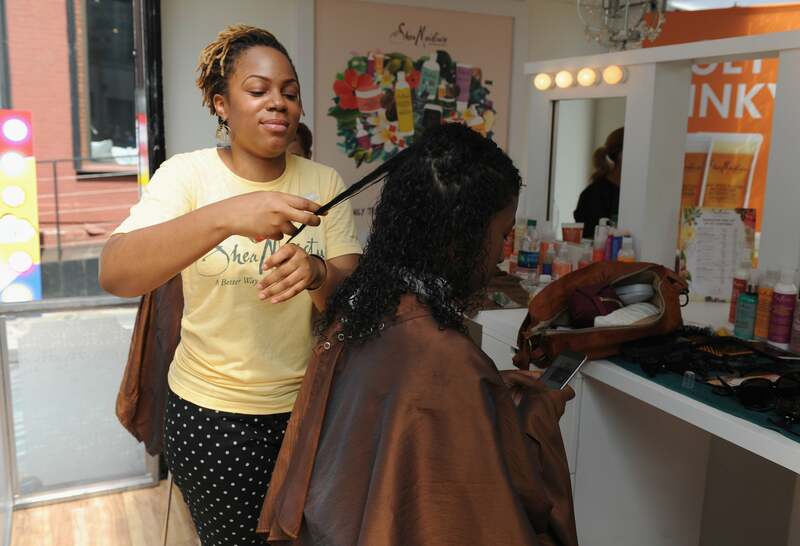 Guests get their hair done at the Shea Moisture station at the 2016 Essence Street Style Block Party. 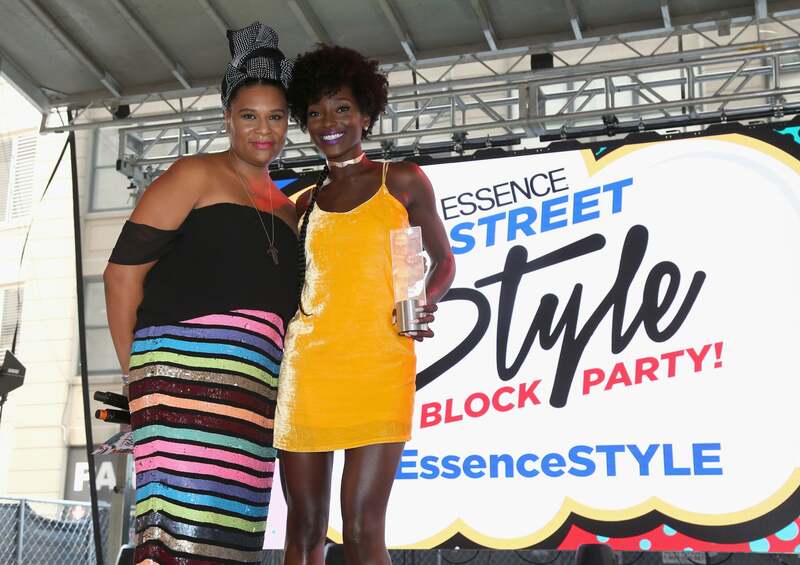 ESSENCE Fashion & Beauty Director Julee Wilson poses with Khadija Shari as she presents her with the Curator of Cool Award on stage during the 2016 Essence Street Style Block Party. 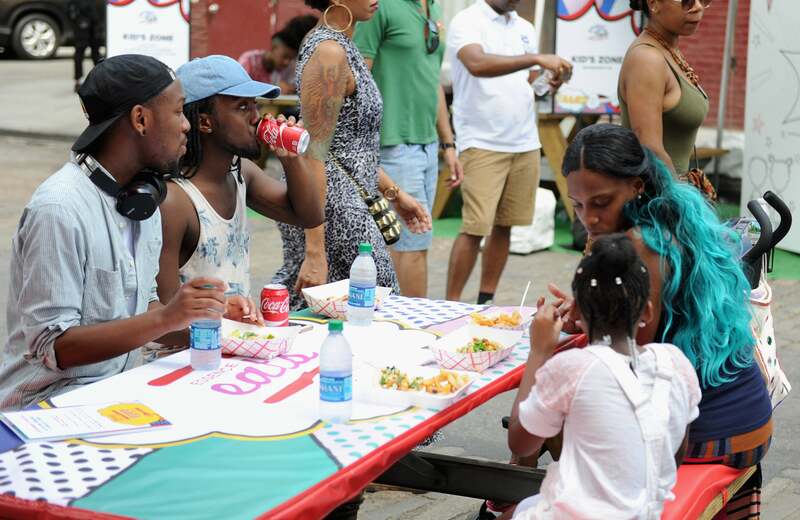 Guests visit the Madam CJ Walker station at the 2016 Essence Street Style Block Party. 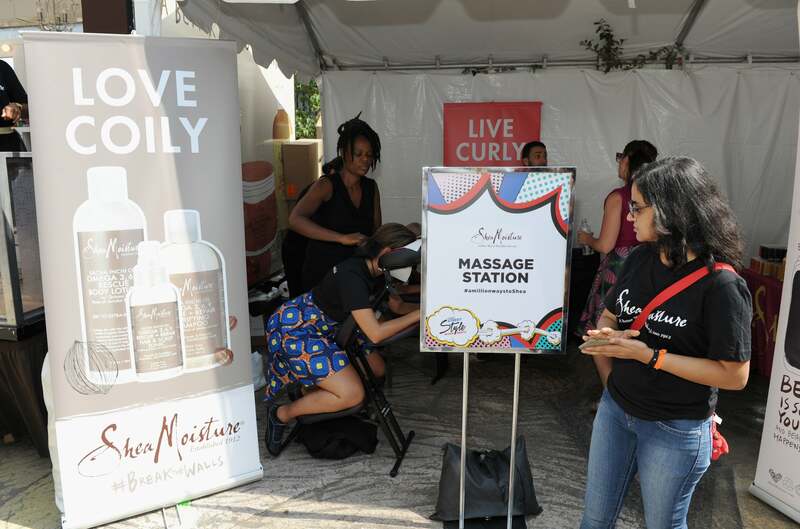 Guests get a quick dose of R&R at the massage station at the 2016 Essence Street Style Block Party. 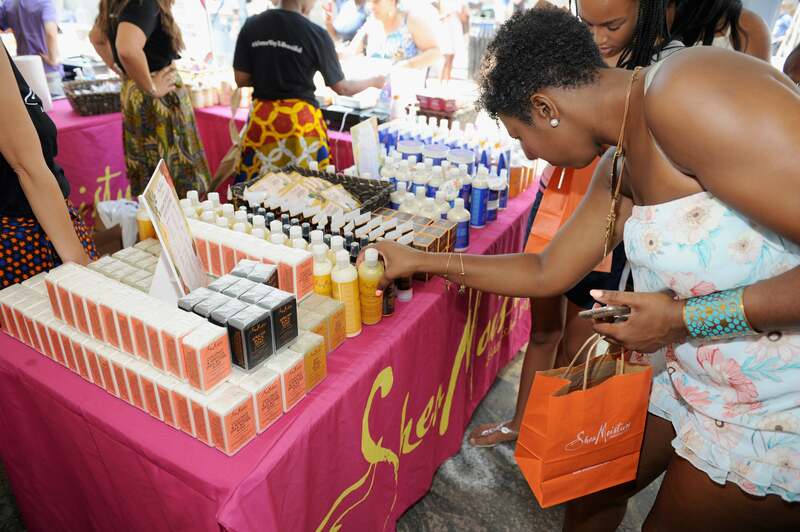 Guests purchase products at the Shea Moisture station at the 2016 Essence Street Style Block Party. 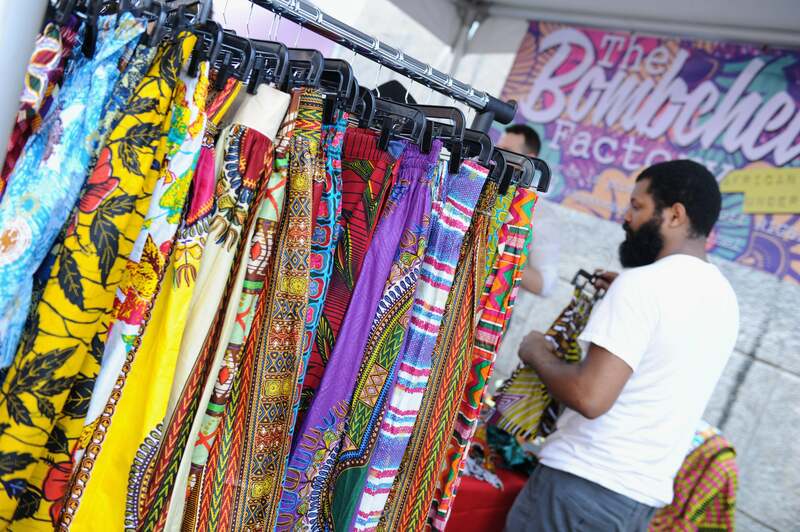 Guests browse through clothes from the vendors at the 2016 Essence Street Style Block Party. 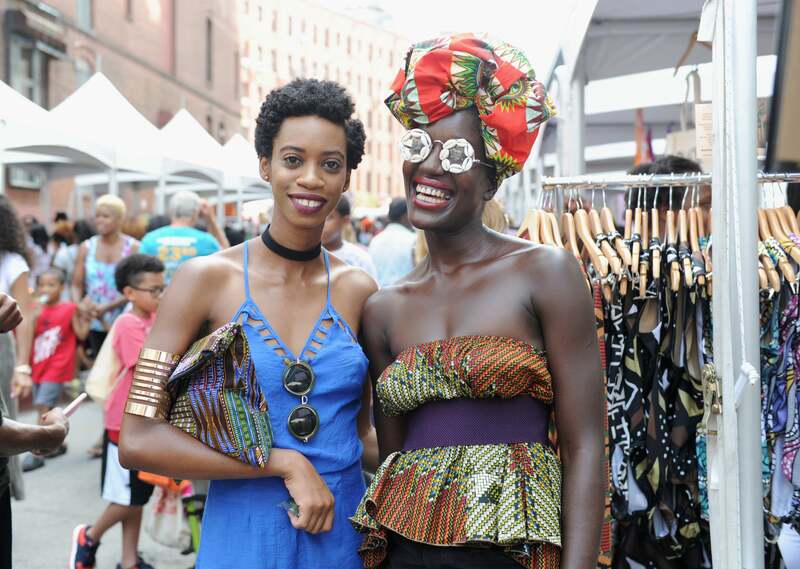 Guests from all over attend the 2016 Essence Street Style Block Party. See you next year!